Brian Vlasich entered the sign industry the way many do—unexpectedly. He answered an ad for a job at aluminum extrusion provider SignComp and spent five years working there in customer service and marketing. After a few years, he felt the need for a change. 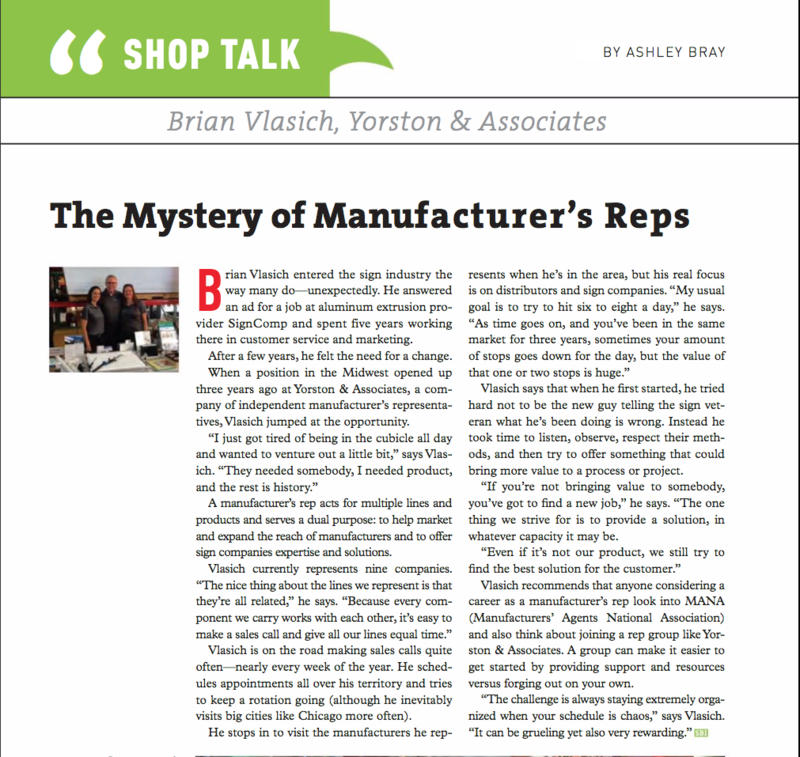 When a position in the Midwest opened up three years ago at Yorston & Associates, a company of independent manufacturer’s representatives, Vlasich jumped at the opportunity.